Touring a city on foot is a great way to see it all, but to truly get a feel for a place, it’s best to take it in from a few different perspectives. Cable cars and gondolas, which lift passengers hundreds or even thousands of feet above cities and natural wonders, provide a way to have a fascinating look at a new place from up above. 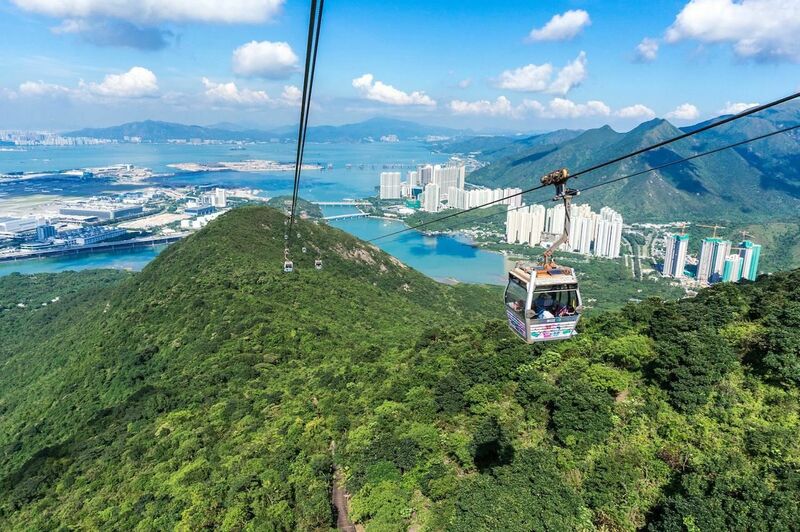 Get a bird’s-eye view you won’t forget on these seven awesome cable car rides around the world. The Ngong Ping 360 cable car, one of the most popular attractions in Hong Kong, connects Tung Chung and Ngong Ping on Lantau Island, home to the Tian Tan Buddha and Po Lin Monastery. Ngong Ping’s standard cable car cabins provide a killer view from all sides, but the real draw is upgrading to the crystal cabins, which have clear glass floors, providing a true 360-degree view above and below. Riders can spot landmarks such as North Lantau Country Park, the South China Sea, and Hong Kong International Airport, all from the comfort of their cabin. The 25-minute ride is 5.7 kilometers in length, making it the longest bi-cable ropeway in Asia. 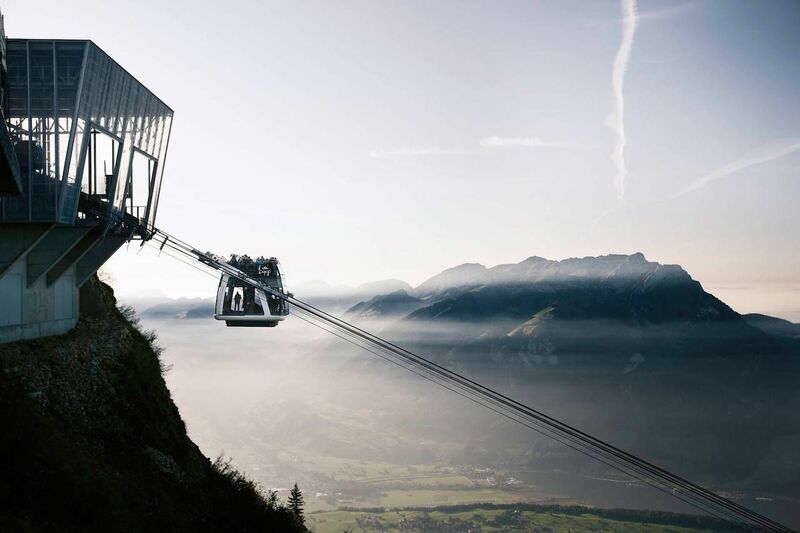 Switzerland’s CabriO cable car carries passengers over 7,000 feet from the village of Stans to the top of Stanserhorn Mountain. The double-decker style cable car, with an open upper deck, is one of the only rides of its kind. Each car has a staircase connecting the two levels and can carry 30 people on top and 30 in the cabin below, which has wall-to-wall windows, providing just as extensive of a view. Getting to the CabriO’s base station is part of the adventure: you’ll ride the world’s oldest funicular — constructed in 1891 — which still touts many of its original elements. At a length of 24,458 feet, the Tianmen Mountain Cableway is the world’s longest cable car ride in high mountains. 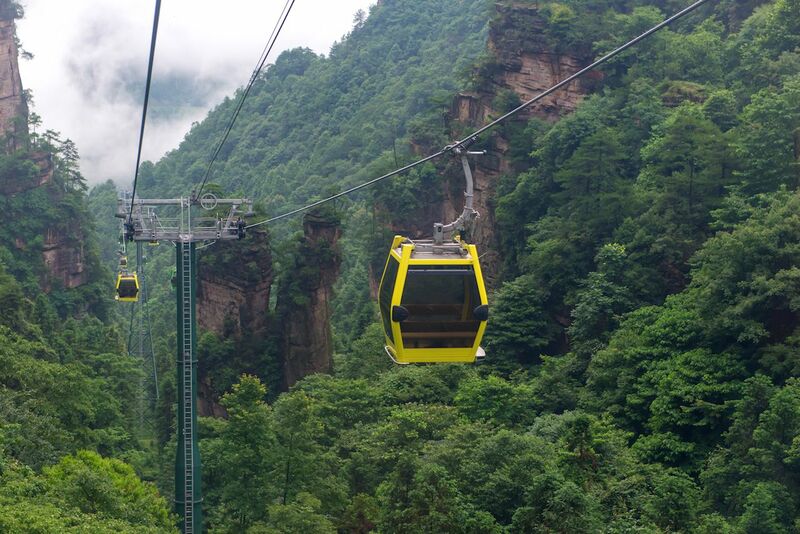 The ride transports visitors from the city of Zhangjiajie to the summit of Tianmen Mountain, where additional attractions await, such as the Tianmen Skywalk and Tianmenshan Temple. Below winds Heaven-Linking Avenue, a curvy mountain road with 99 turns, and you can also spot Tianmen Cave on the ride, which collapsed and became known as Heaven’s Gate. Along the way, try to crack the “six unsolvable riddles” of the mysterious mountain, which is thought to be the first holy mountain in the western Hunan province. Medellín’s Metrocable is one of the top attractions in the city. 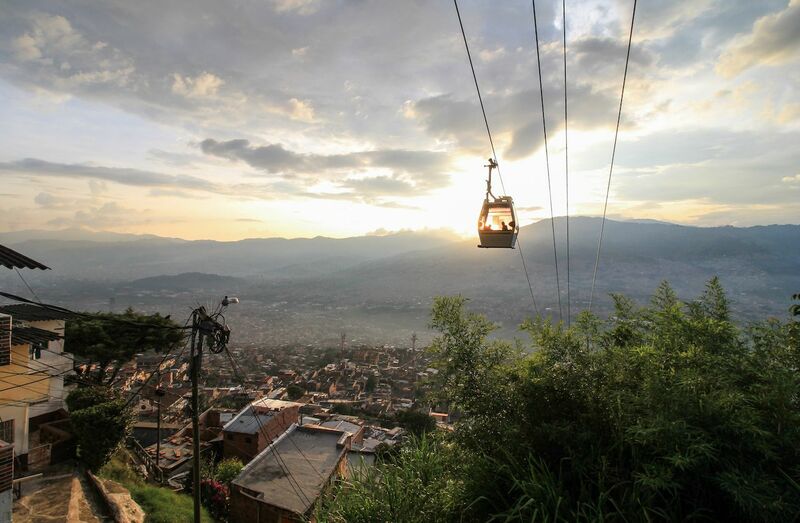 Originally built to connect the low-income comunas (communes) situated high up on the mountainside to greater opportunity in the city below, today the Metrocable is still used for locals’ daily commute and as a main form of public transportation. Visitors can hop on and float above the streets of Medellín, connecting at one of the stations to take the cable car all the way up to its final leg at mountaintop Parque Arví. Medellín’s Metrocable is sometimes called “the cheapest sightseeing tour in the world” as tickets equate to just a couple of US dollars. 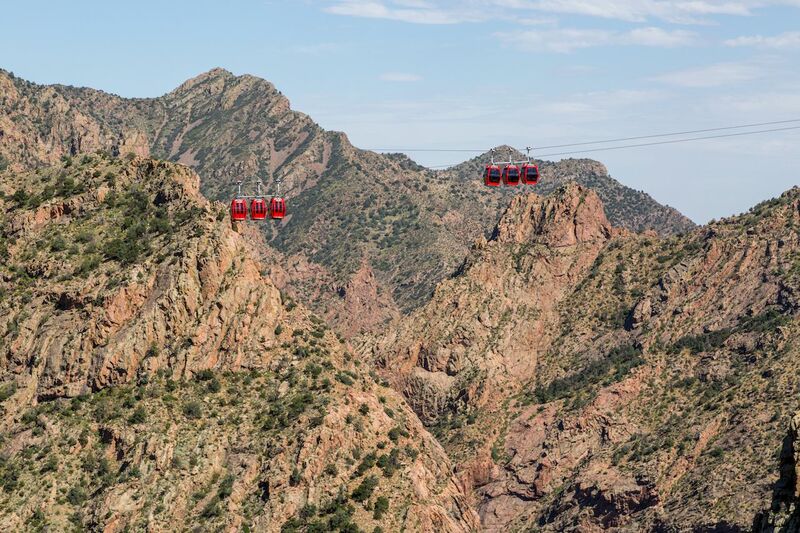 Located in Cañon City, Colorado, the Royal Gorge Bridge & Park glides 2,200 feet over the Royal Gorge and the raging Arkansas River below, with full glass floor-to-ceiling windows so visitors enjoy an unimpeded view of the striking natural scenery. The park also includes activities like America’s highest zipline, the Royal Rush Skycoaster, and Royal Gorge Bridge — America’s highest suspension bridge — so thrill-seekers can spend an action-packed day at this adventurous location. 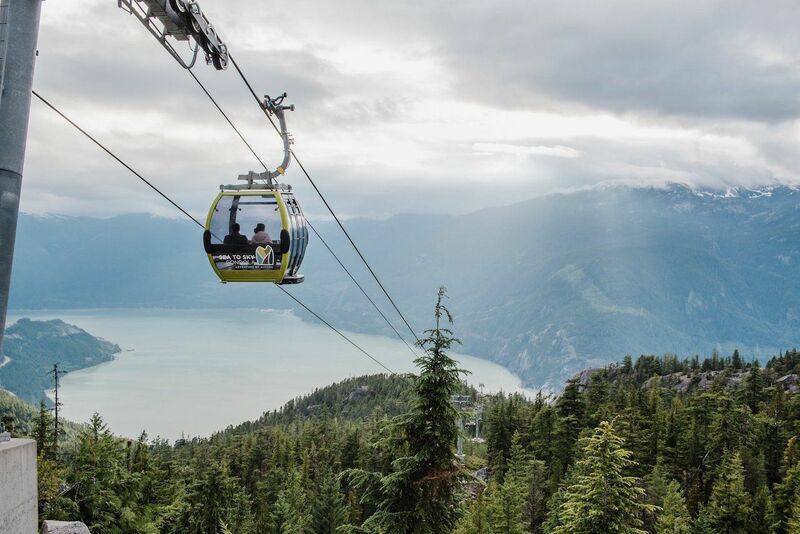 Located just south of Squamish, the 10-minute ride on the Sea to Sky Gondola provides amazing views of Howe Sound. The gondola connects the scenic Sea to Sky Highway to the Summit Lodge. At the top, other outdoor adventures await: rock climbing, hiking trails, the Sky Pilot Suspension Bridge, and walking trails with viewing platforms. 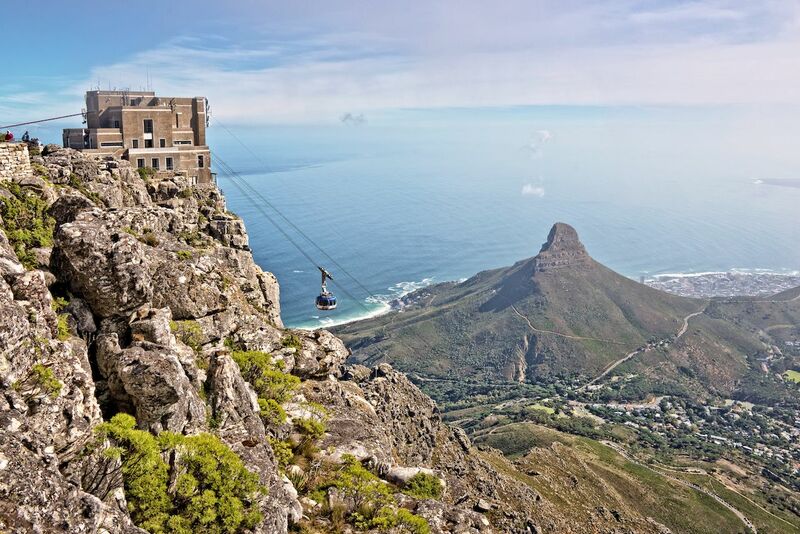 For a breathtaking view of the tip end of the African continent, take the Table Mountain Aerial Cableway for a five-minute ride to the top of Table Mountain in Cape Town, South Africa. The cable car is one of the most popular attractions in Cape Town — and has been since its 1929 debut — and the floor of the car rotates to provide all riders with a true panoramic view of their surroundings as they ascend. At the top, enjoy the view of Cape Town, along with a bite from Table Mountain Café, a self-service restaurant with snacks, desserts, and wine.